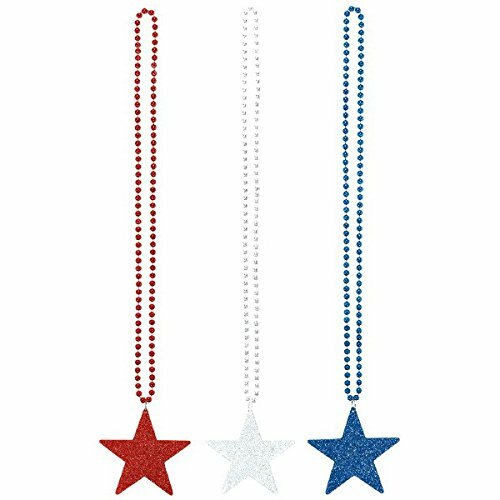 Patriotic Party Star Glitter Necklace, 36"
These beaded necklaces in red, white, and blue metallics are totally tops! Don't be shy of the bling and wear them with their flashy glittery star pendants. A true patriot will always be ready to wear the symbols of this great country anytime. These necklaces make great party favours, or have some in the photo booth for more patriotic fun shots. 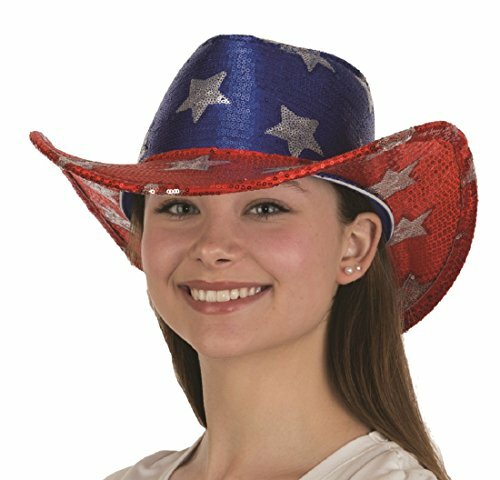 Patriotic Cowboy Sequin Hat Color- Red/White/Blue Sequined Size- One size fits most Up to 57cm Measures 14"l x 14"w x 4"h Great accessory for patriotic festivities! Medium Fake arms costume fits a 14" neckline. 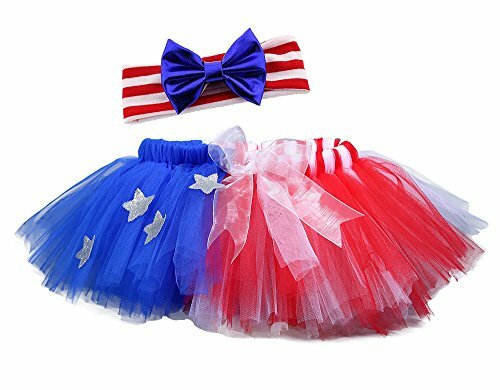 This Patriotic costume slips on like pants and velcros around your pet's neck for a secure fit. Padded arms features gloved hands. Complete with blue velour style jacked and red striped pants and shirt collar. 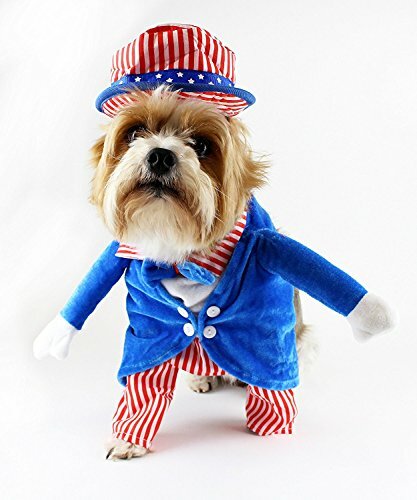 Comes with Uncle Sam hat Recommended for pets who are used to wearing clothing due to structure of the garment. 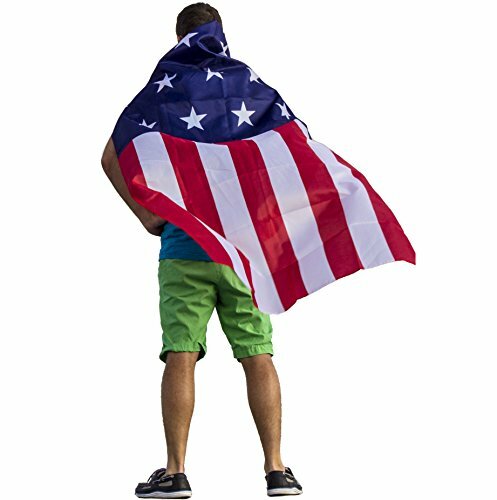 Show off your patriotism with an American Flag Cape! Dangle the stars and stripes around your neck with a secure clasp and make our founding fathers proud. This product is an adult sized cape perfect for any occasion. 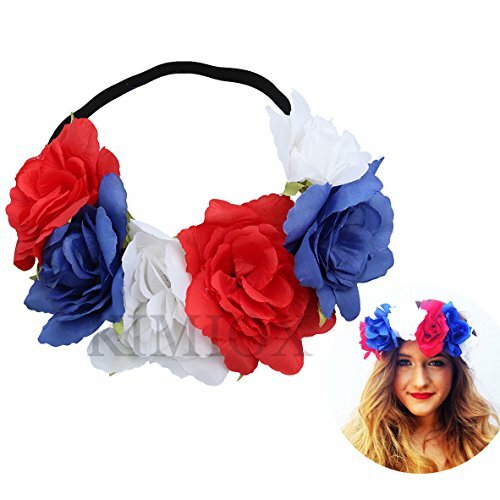 Wear it for the Fourth of July, concerts, Nascar events, EDM festivals, Halloween, or just wear it around the house! It's a perfect way to don yourself a little freedom and display it proudly to your friends. The patriotic 9 star and 13 stripe design is the only cape for sale today that securely clasps around your neck, allowing you maximum comfort and mobility while displaying your patriotism. It's the perfect American Costume for Halloween! Rival yourself with Captain America! Make America Great Again! Fourth of July Outfit ideas, DIY Treats + Hair & Makeup! Fourth of July Makeup and Costumes!!! 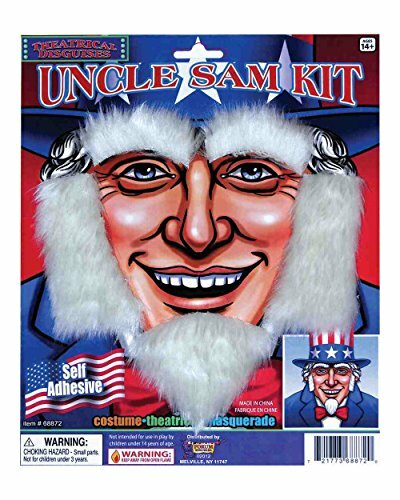 Celebrate 4th of July like a true patriot with these Uncle Sam & flag-themed costumes, wigs and accessories. Visit http://www.costumehub.com to see more of our 4th of July costumes!